My visit to Copenhagen was also my most ill-prepared trip to date. Though to some extent, it was intentional. I knew very little about the city beforehand. 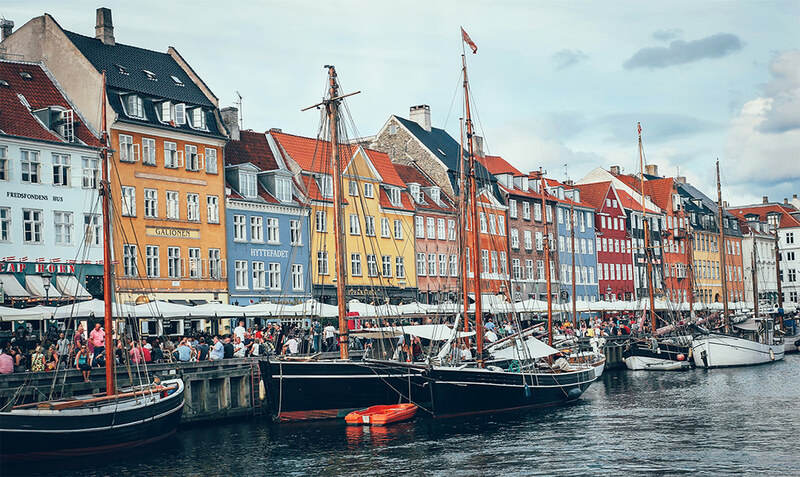 I was familiar with the picturesque Nyhavn harbour and a bronze statue of a mermaid. There is something about a very old monarchy and from what I imagine, bakeries stocked with Danish pastries. 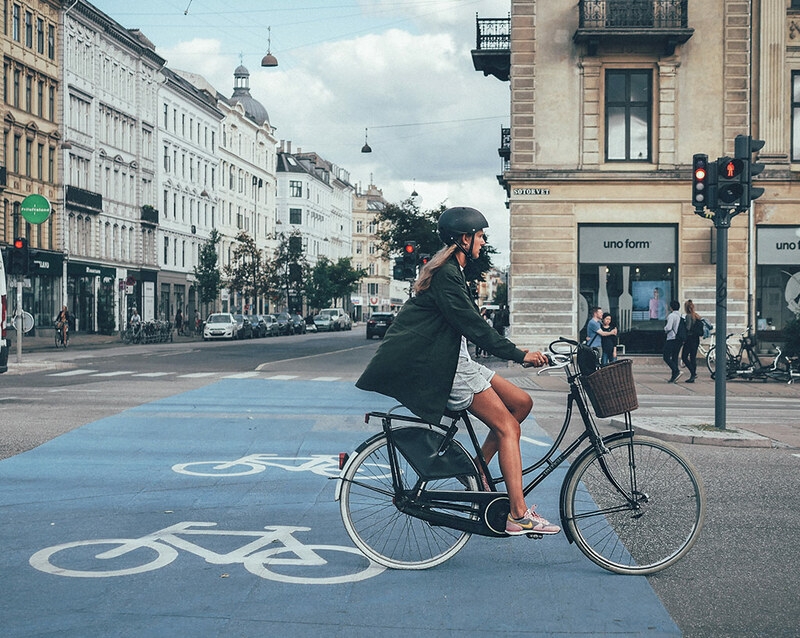 Copenhagen also has a bit of a rivalry with Amsterdam as being the top bicycle-friendly city in the world according to the Copenhagenize Index. As such, I must admit there was a certain bias I brought to my experience. I opted out of taking a tour because any word of a prominent Monarchy means stops at palaces and monuments. This would put me at risk of slipping into a coma out of sheer boredom. I also have no interest in mermaids unless I can have intimate relations with one and statues don’t count. 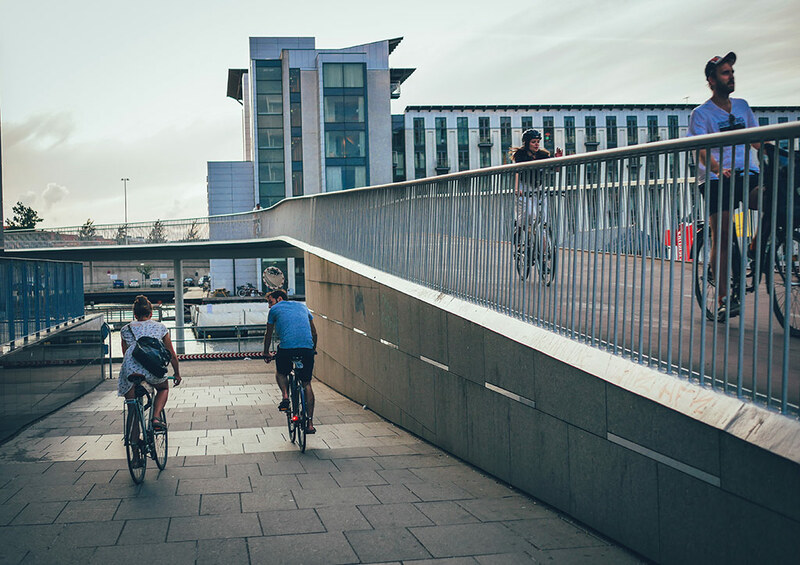 I was most keen on simply exploring the city freestyle and hopping onto a bike is the only way to go. 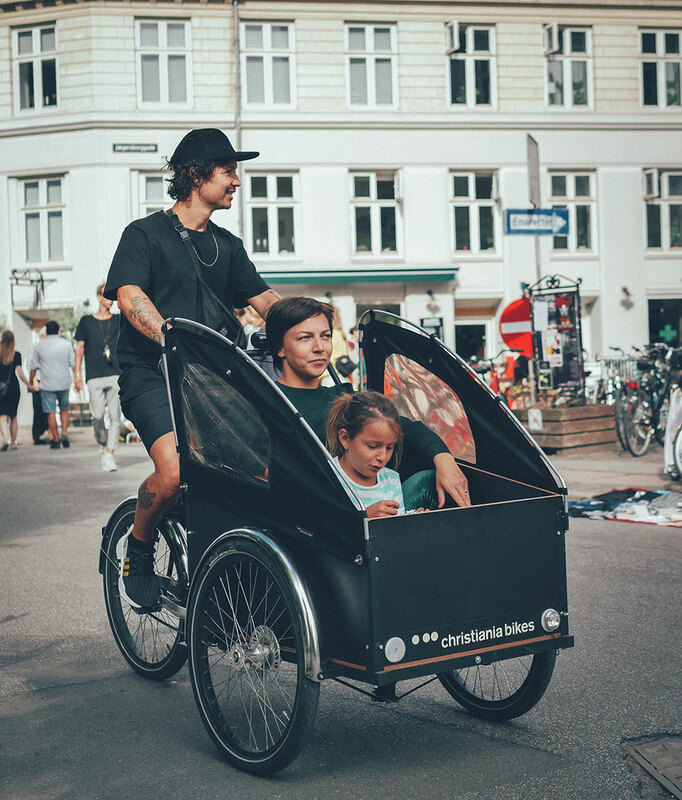 My wife and I rented bikes at Københavns Cykelbørs for about € 15 per day which included a child seat for our 16-month old daughter. 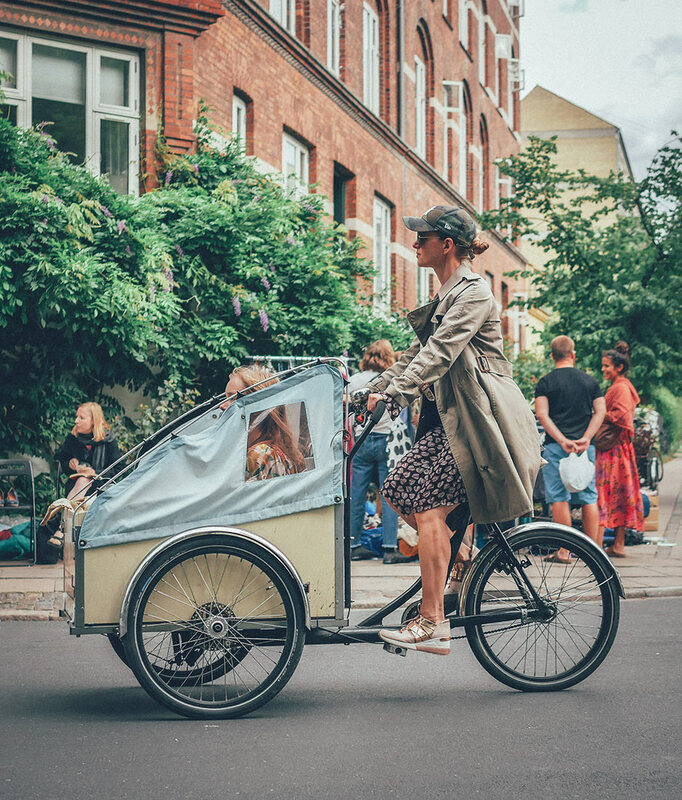 The first of my bombshell revelations about bicycle culture in Copenhagen came from a conversation to a question I asked. “Can I have a chain lock so I can lock the bike to something at night? “Just leave it anywhere outside,” said bike shop employee. “Welcome to Denmark,” he replied with a grin. A quick glance around confirmed this fact. 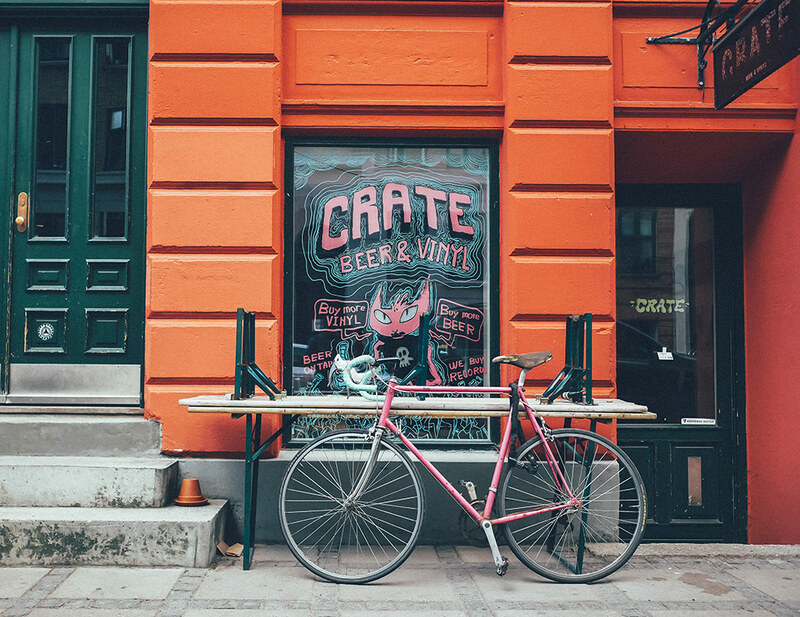 Very few people lock their bikes to a rack let alone anything. It appears this city is free from misfits, drug addicts and thieves. I initially dismissed my second observation as an anomaly. 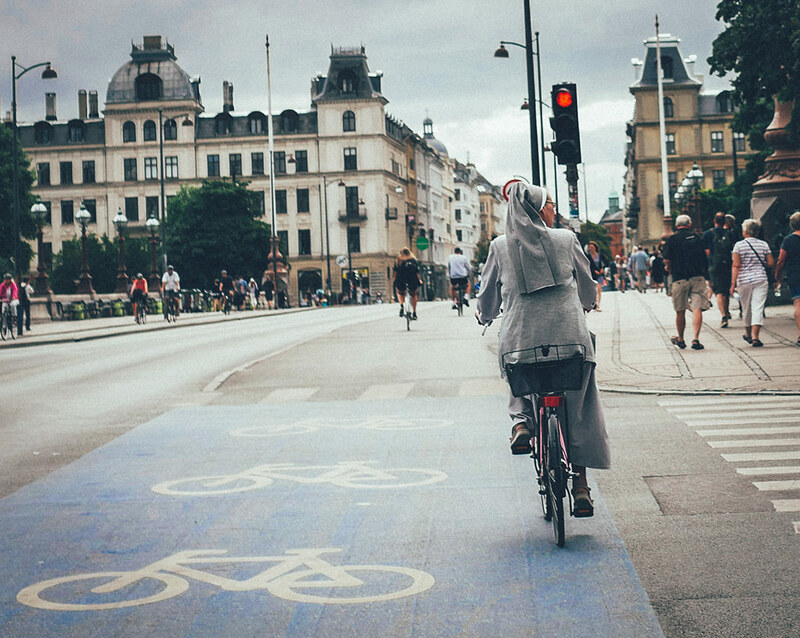 Bicyclists in Copenhagen wear helmets. In Amsterdam they don’t. Of course, they were in the minority, but they kept streaming by, peppered among bicyclists who didn’t. From my estimates, they made up around 10% of riders on two wheels. Fortunately, there were no cycling militants, clad in neon vests and cycling gear. Everyone appeared to be normal-functioning people who were neither drooling or bellowing. Still, what does this say about the cycling here? Once the mild shock wore off, there was sense of excitement and adventure once we got going. 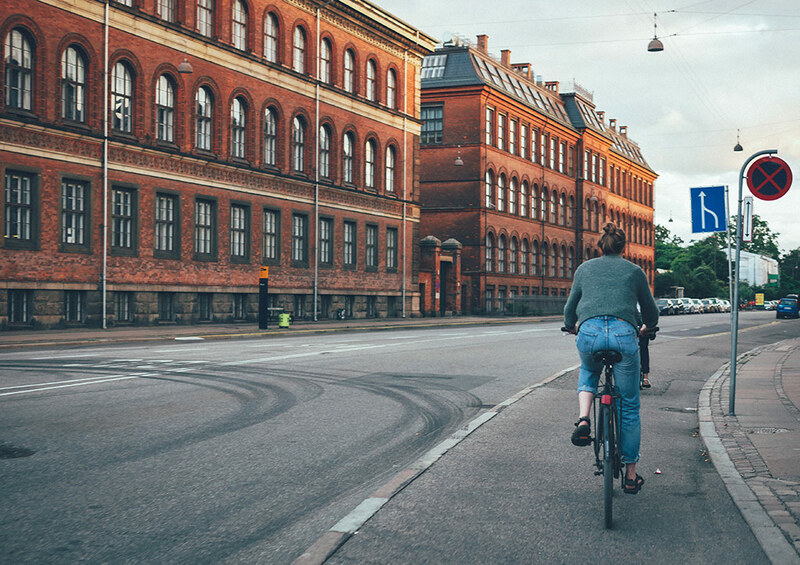 Long straight streets with freakishly wide smooth bike lanes at times, made it incredibly easy to get around in central Copenhagen. There was a calmness with fellow riders and everyone moved in an orderly fashion, especially at a stop. 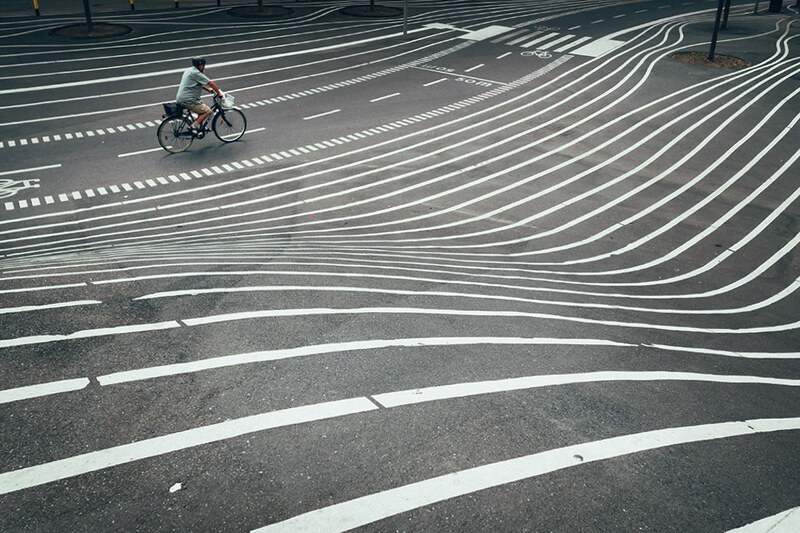 This was an obvious contrast to cycling in Amsterdam where people will routinely run red lights or cut across diagonally at intersections. However I did witness a nun who nonchalantly went through a red. Even though there was a heat wave, bicyclists across the grid felt like they move a gear or two slower. There was also no double-riding, or children dangling from a bicycle. 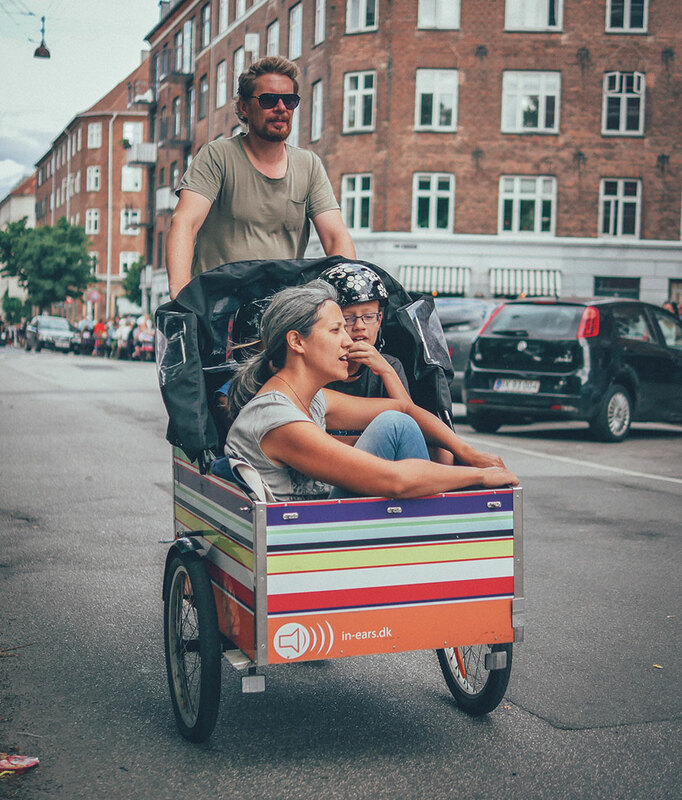 Instead, couples and families rode together using a cargo bike. There was also far less cell phone use and no one was carrying furniture on their back rack or dragging suitcases behind them. 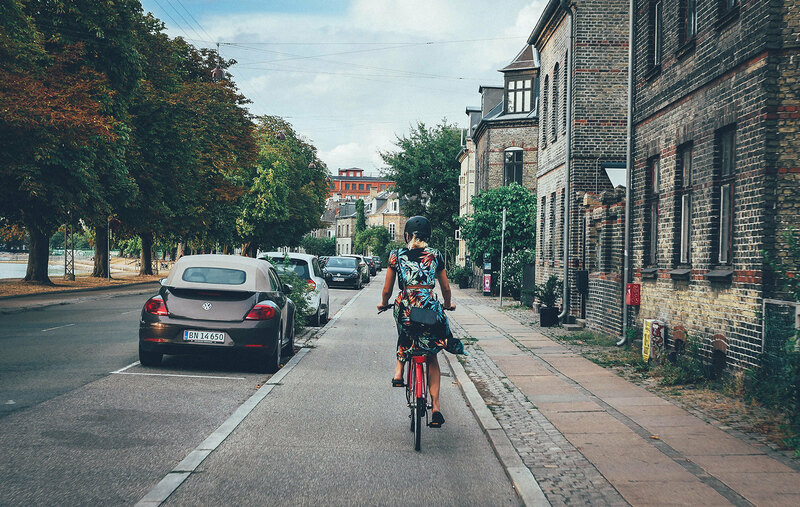 The scarcity of these habits sort of kills the panache of how I envision a bicycling city should move. 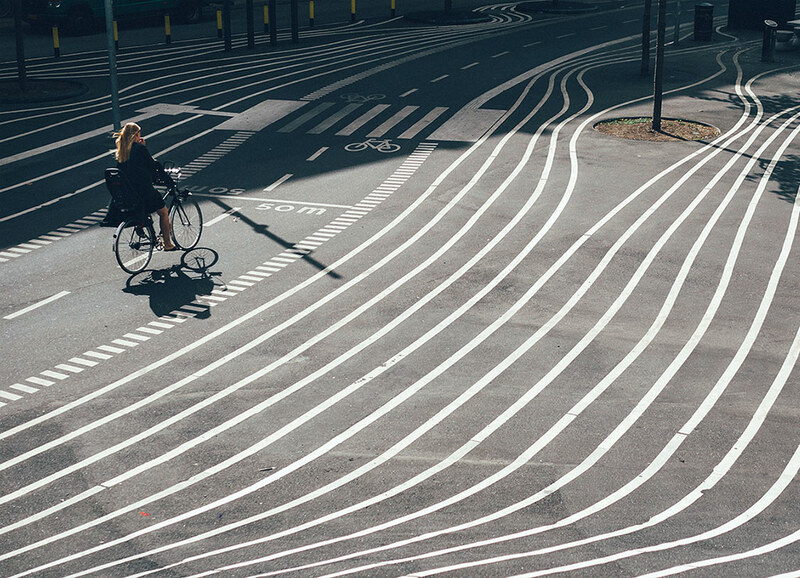 But what Copenhagen lacked, also worked to it’s benefit. There are no scooters in this city disrupting traffic, something that is slowly choking Amsterdam into submission. But all this is moot when considering the undaluterated freedom of riding a bike. This point couldn’t be more clear in our trek over to the Reffen Street Food market in Revshaleoen. This was among our top highlights of our visit and absolute must stop for any foodie, which would have been a nuisance to get to otherwise. 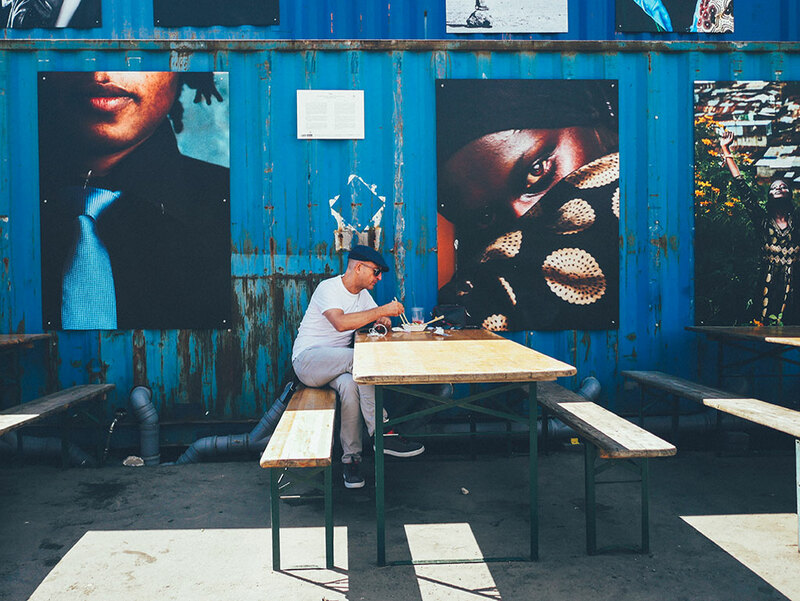 Honourable mention also goes to the Torvehallerne market near Nørreport Station for some excellent grub. 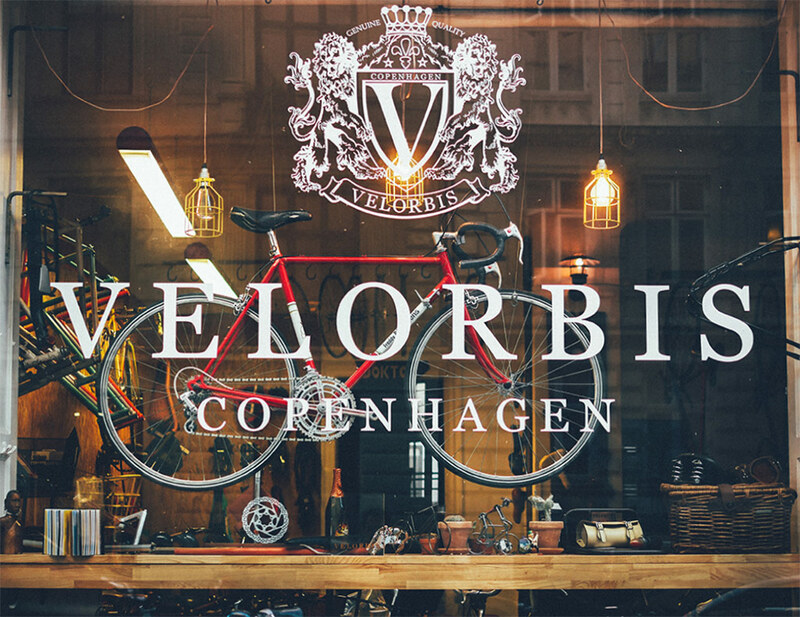 Among my recommendations when more central is to park your bikes at Larsbjørnsstræde and waltz down the street to check out some cool vintage shops. 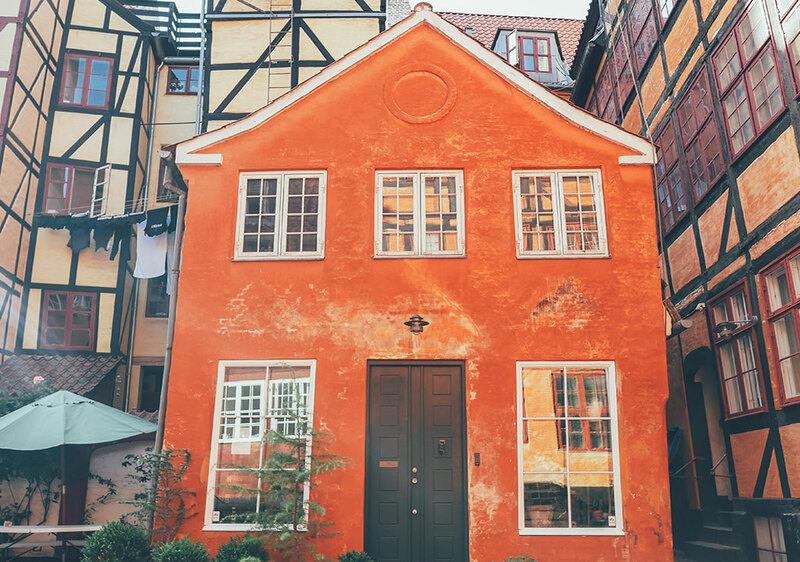 Just a stones throw away is Skindergade and look for open gates to backyards where you can see some classic Danish architecture. 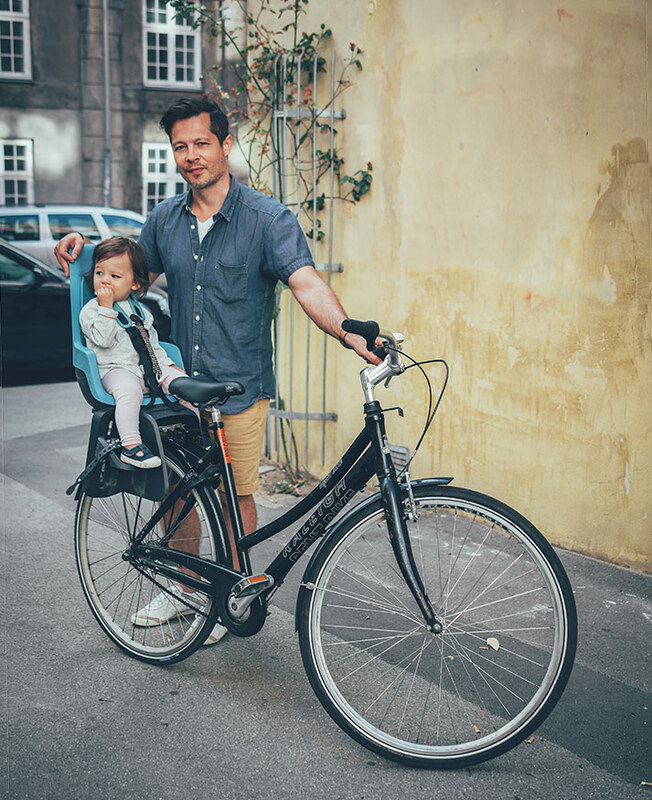 All of which is a just 5 minute bike ride to Nyhavn waterfront in the heart of tourist haven. 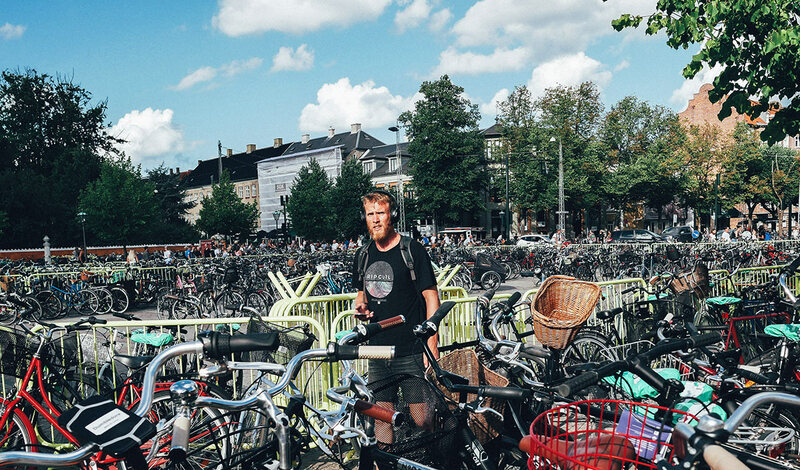 There are also plenty of city parks in Copenhagen though you can’t ride your bikes through them. 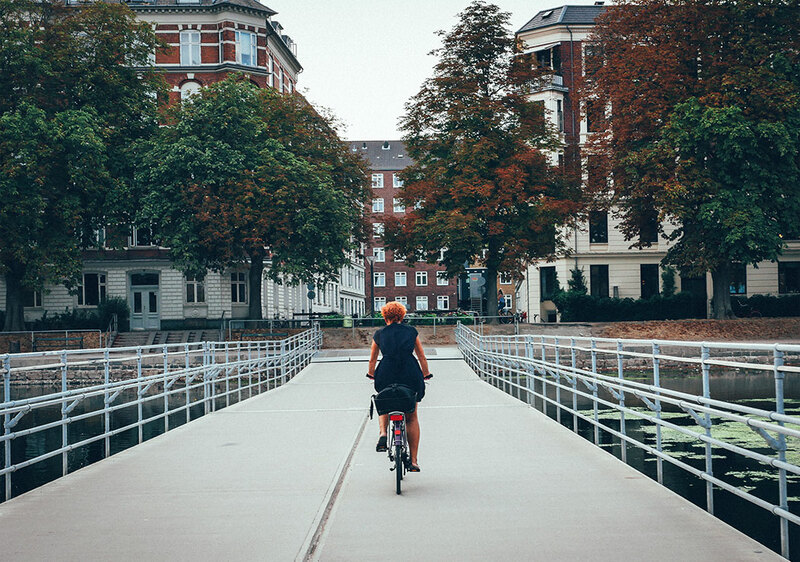 Frederiksberg garden is well-designed sprawling greenspace and is a great place to chill and feel like a local. 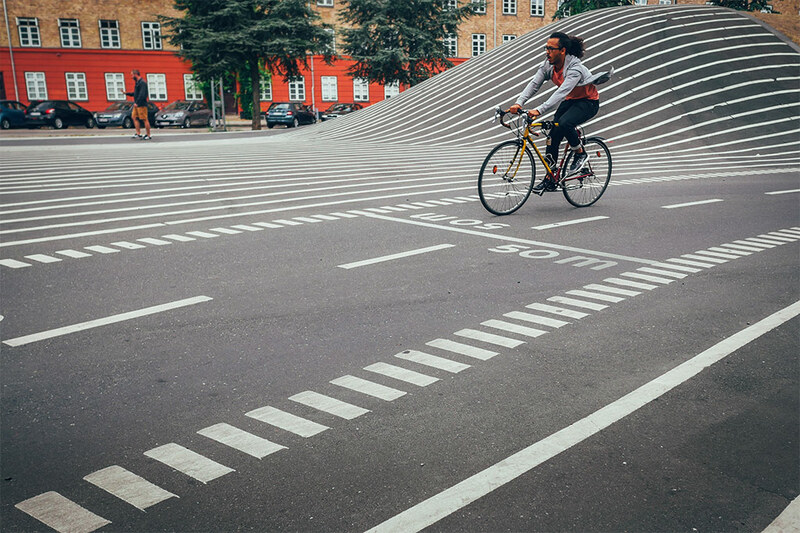 Just 10 minutes north on bike is the neigbhourhood of Nørrebro where you can find hip spots, indie shops and the trippy Superkilen park. 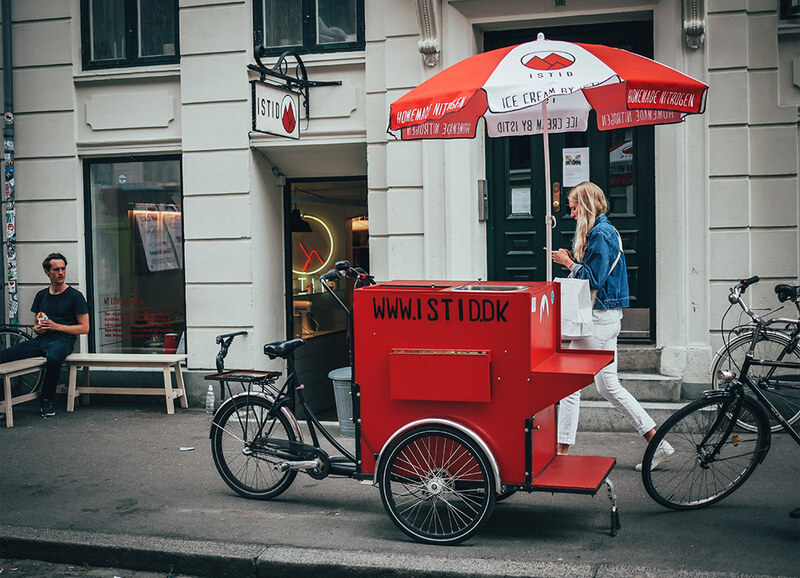 Head over to Jægersborggade and pop into ISTID to try arguebly the world’s best ice cream made with liquid nitrogen. Travelling with a toddler poses some challenges. Evenings were low-key and I had to skip out on certain attractions like Tivoli Gardens as I would’ve preferred to see it at night. But having a bicycle at my disposal more than made up for any shortcomings to my itinerary or lack thereof. 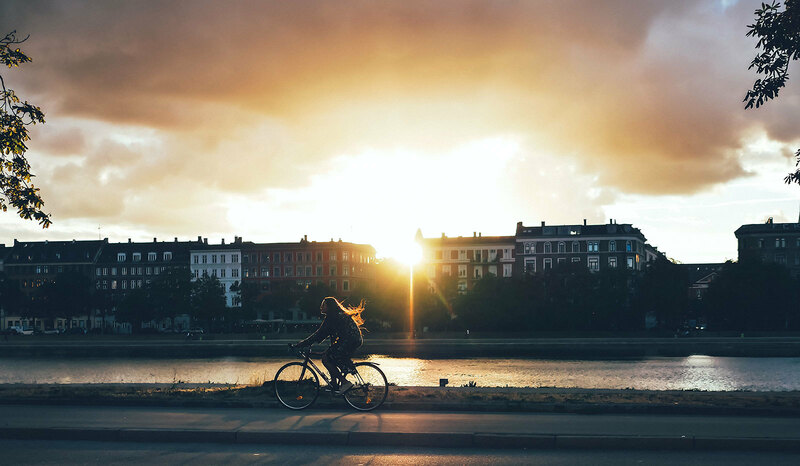 It provided flexibility, maximized time for the little things and delivered a memorable experience in my visit to Copenhagen.